Cox’s Boatyard continues to go from strength to strength and this Newsletter gives us the opportunity to tell you a little about the things that affect you, as well as about our activities and our plans for the future. Most of our work comes from personal recommendations, so we hope the following information will encourage you to go out and spread the word on our behalf. If you are happy with what we do, tell others; if not, tell us and we will do our best to put things right! As most of you know, our purpose-built workshop has made a huge difference to our capabilities and facilities. Coupled with our new state-of-the-art boat mover, we can now safely and efficiently manoeuvre craft of every type up to 50 feet in size in a way that was never possible before. We are now able take on large contracts without detracting from the one-to-one service we offer our individual customers – in fact, no job is too big or too small! We don’t only invest in buildings and machinery, however, as we fully appreciate that any boatyard is only as good as the people who work there. Our six-strong team – Damon, Liam, Chris, Brian, myself and Maggie – have an enviable range of expertise and experience and we keep our skills up to date by attending courses and workshops. We firmly believe in investing in the training of young people to ensure that they are properly equipped to progress in their chosen career, as this will benefit both our customers and our business in the long term. Whether you are the owner of a small boat or a member of an organisation that has a large project in mind, talk to Eric at the boatyard and we are almost certain to be able to help. Current Work: Cox’s Boatyard has been keeping busy ensuring that the Broads Authority’s launches are kept in tip-top condition throughout the year. We have been awarded the maintenance contract again for these vessels for the next two years and we are proud to be involved in their continuing upkeep. This is just one part of the work we complete for important local organisations, including work for Norfolk Police, and for the boats, trailers and engines operated by the Environment Agency. 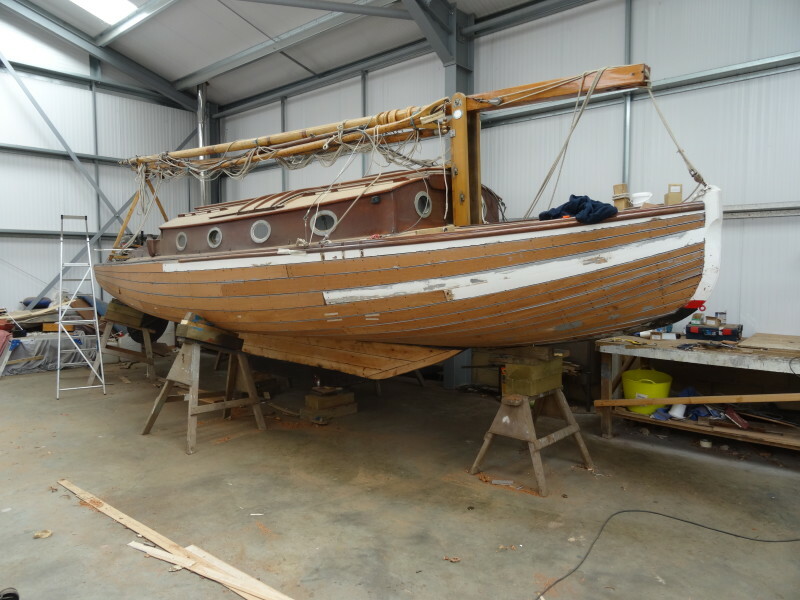 We are also undertaking a lot of other work in the workshop, including re-planking the complete hull of the 30-foot wooden sailing cruiser ‘Kenmure’, as can be seen below. Why not pop in sometime to let us show you the work we are doing. Development: The next phase of development is in the planning; this phase will change the way we lift boats out of the water. We are currently awaiting planning permission to install two steel runways out over the water, and to dig out a small section of the car park to form a new dyke. This work will enable a new travel hoist to be positioned to lift craft out of the water and lower them onto the boat mover for movement around the yard and into the workshop or onto lorries and onto small boat trailers. The plans have been carefully researched and discussed, and we feel that this is one of the better systems available, not just for the careful manoeuvre of the boats, but also for the safety of our staff. It will also be easier to train operators to use the system. Once we know when this work will start we will inform all our customers and berth holders. Car Parking: The plans described above do mean that we will be moving our lifting operation to the end of the dyke where we currently crane in the craft. It will also mean there will no longer be any parking in this area, but it will be possible to park in the current craning area once the hoist is in place and the new system is up and running. We appreciate this might be slightly inconvenient for the customers who currently park near to where the new dyke will be, but we will keep you informed and give you more information when we are about to start, with a plan detailing the new, alternative opportunities for parking. Parish Staithe: The Broads Authority is in negotiation with the Parish Council to take over the moorings on the Parish Staithe, and is planning to allow stern-on mooring at the Staithe. This will only affect the people using the slipway, the white boat pens and the six moorings at the staithe entrance of Cox’s Boatyard. As we would like to encourage people to visit Barton Turf, we have agreed to a trial period for the stern-on moorings to take place. If any of the berth holders who may be affected have concerns or comments, please contact Eric in the office. 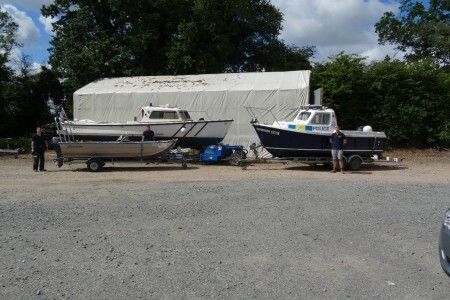 Carbon Monoxide: We are hearing about an increasing number of accidents involving carbon monoxide on boats and in enclosed areas where exhaust fumes can accumulate, so we would like to advise our customers to fit a carbon monoxide alarm on your craft. If you have an inboard or outboard engine, gas cooker, hot-water heater, diesel heater or gas heater, all these produce carbon monoxide. Please fit an alarm to your craft, or ask Cox’s Boatyard to supply and fit one for you, as it may save your life. Quay Heading: Some of the wooden quay heading is 20 years old and is due to be replaced but, because of the difficulty of obtaining wood of the quality we require, we are going to install steel piling with wooden tops on some of the areas which have a lot of back pressure. We are looking to complete the first phase of the work this winter/spring on the area alongside the dinghy park. We will then work around the marina, replacing the staging as needed, and will keep you all informed of our progress. Invoices: We are now able to e-mail customers’ invoices in order to move with the times, cut costs and reduce the amount of paper we use. If you would like this option, please cross out the appropriate answer on the winter work questionnaire. Winter Work: Although we are all hoping that the summer lasts for several more weeks, autumn is undeniably coming, so I attach the winter work form and ask you to please fill it in and send it back to us as soon as possible. These forms help us to work out the lifting schedules to get the boats out of the water, and then launch them when you want to use them, although of course the weather does play a part in this too. We will be starting craning from 23rdOctober 2017 and working through November. Easter Sunday next year is early on 1st April 2018, so we will be starting to lift boats back into the water on 5th March 2018. Mooring Fees: There will be a small increase from the 1st April 2018 to £43.50 per foot per year, plus VAT. It just leaves me to thank you and to express the hope that you enjoy the rest of the summer/early autumn, no matter what the weather!